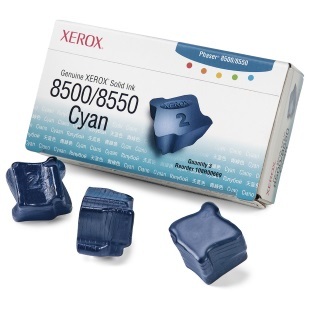 Create your own Xerox Phaser 8500 solid ink pack / bundle with our flexible quantity discount pricing. Mix and match products so you are only purchasing what you need, but also maximizing your savings. 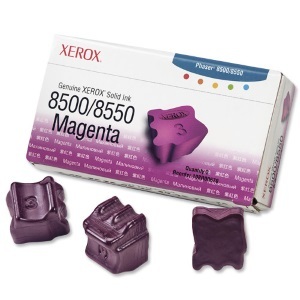 Compatible Magenta Solid Ink Sticks with 3,000 page yield. Equivalent to Xerox part number: 108R00670. 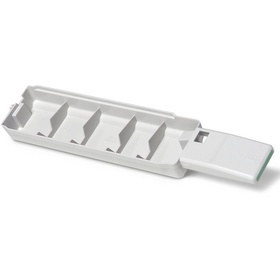 Fits the following model(s): Xerox 8500, Xerox 8500N, Xerox 8500DN. 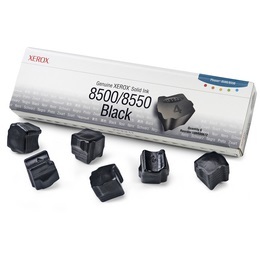 Compatible Black Solid Ink Sticks with 3,000 page yield. 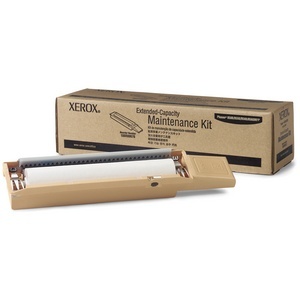 Equivalent to Xerox part number: 108R00668. 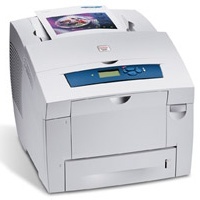 Fits the following model(s): Xerox 8500, Xerox 8500N, Xerox 8500DN. 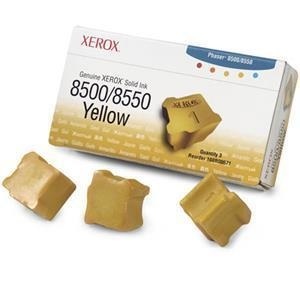 Buy our high quality compatible ink for Xerox Phaser 8500 with confidence. Join thousands of happy customers who have found our compatible products are equivalent in page yield and print quality. For our compatible products, we offer a 100% Satisfaction Guarantee allowing you to return products within 6 months if you are unsatisfied. The Xerox Phaser 8500 is a great choice to bring the advantages of solid ink into your medium or large office environment. Its single-pass printing engine gives some of the fastest color printing speeds available, at up to 30 pages per minute, while the Phaser 8500 ink gives bold, accurate colors on a wider range of paper types than laser printers. The multiple sub-models, the 8500N and 8500DN, offer different configurations to fit your budget and needs. For offices looking to trim the budget, the Phaser 8500 ink sticks are more efficient and cost-effective than laser toner cartridges. Administrators can use the Usage Analysis Tool to monitor printing and even control access if necessary. Also, automatic duplexing, or two-sided printing, is included as a standard feature in the 8500DN. Enabling this feature can potentially reduce paper costs by as much as 50% in addition to the savings on printer ink. 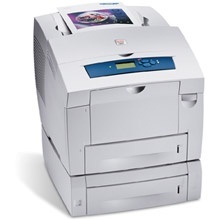 Eco-friendliness is becoming more of a concern for most offices, and the Xerox 8500 ink has you covered there as well. 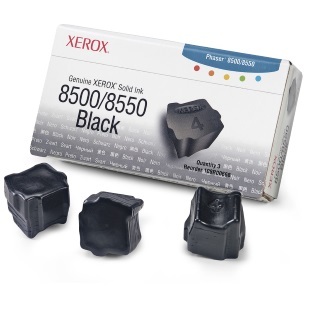 Xerox 8500 ink sticks leave no waste product behind such as a plastic cartridge. Even better, Xerox 8500 ink can print on a wider variety of media, including many types of recycled paper, which helps the environment. Of course, none of these features are important if the machine can't handle a busy workload. That is why the Xerox 8500 is designed with speed and efficiency in mind. It includes a 600 MHz processor and built-in networking capabilities, so it can easily be shared across a network and can support a large number of users. The monthly duty cycle is rated at up to 85,000 pages per month so there is no need to be concerned about overtaxing the machine. With so many excellent benefits, it would seem that solid ink printing is the wave of the future. As more offices want inexpensive machines that perform as well or better than lasers and use eco-friendly printer ink, models like the Xerox Phaser 8500 will continue to grow in popularity.